Esteban Ocon says he is getting on with his job even though Force India is clinging to survival. Sergio Perez arrived in Hungary saying the Silverstone based team's financial situation is "critical". 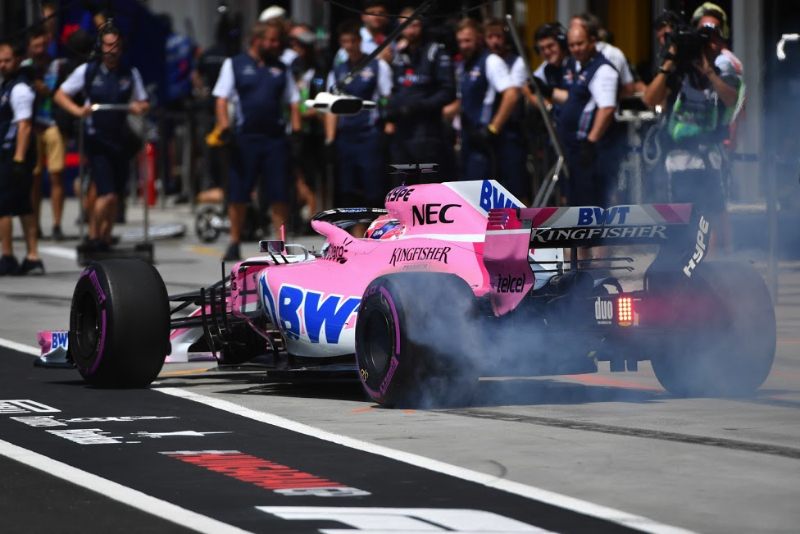 "I don't know what Checo meant by that, but hopefully it will be solved soon and we'll get back to operating in the normal manner that we are used to," said sporting boss Otmar Szafnauer. It appears as though creditors including Mercedes, Perez and his manager, and main sponsor BWT are behind an action to have Force India put into administration for the August break. The move has angered Rich Energy, a British company that was looking to become a team sponsor and buyer. "Disgraceful," Rich Energy said on its official Twitter channel. So with all that happening, French driver Ocon might be forgiven for feeling distracted in Hungary. "Honestly, there is still a good atmosphere -- the same as before," he insisted. "For me, everything is clear. We are preparing new parts and a few races ago I got a new steering wheel. "I have everything I need -- overalls, underwear," Ocon laughed. "I don't see any problems. "Of course you hear a lot and it's a difficult situation, but the team is focused on its work so in that respect nothing has changed."